More than 53 years after opening day and 36 years after the site was supposed to become a park, the Scholl Canyon Landfill apparently needs more room. The landfill has had a complicated history and I wonder what the original advocates and opponents would think about the current plans to expand. The landfill’s creation pitted the cities of LA County against each other, resulted in the demolition of a number of homes and aggravated a long-standing dispute between county administrators and the city’s Department of Water and Power. Then, as now, the tension centered on the dump’s access road from Figueroa Street. Councilman Huizar’s concerns about the negative effects of the landfill are well founded. They also strongly echo the misgivings of his political predecessors. 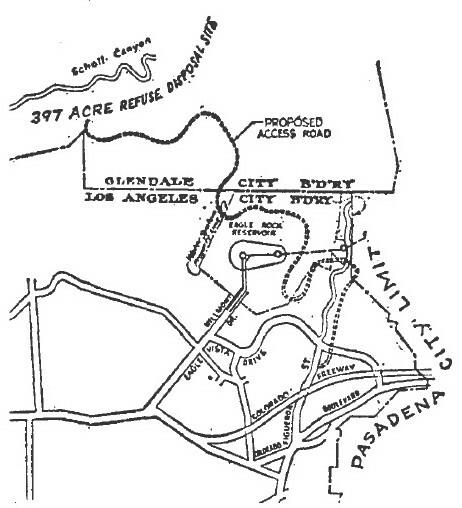 In the late 1950s, Councilman John Holland and others fought bitterly against locating a road to the dump in LA (figure 1). While the idea of a mountain meadow is romantically appealing, the site wasn’t exactly pristine. 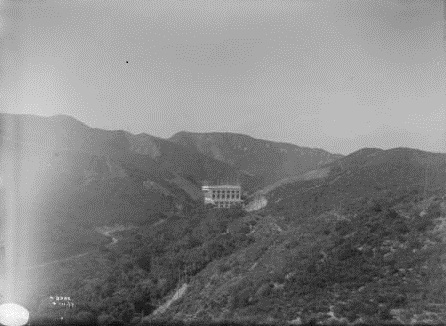 As early as 1915, the Southern California Edison power company had installed power lines and a massive substation in the canyon (figure 2). As a result of these and other large infrastructure projects, the area was largely inaccessible to the public. Los Angeles County Supervisors announced their plans for the landfill in January 1958. The proposed 397-acre dump was projected to provide “45 million cubic yards of disposal capacity.”[iv] Much of the canyon was located within the City of Glendale and a deal was reached so that Los Angeles County would receive 20% of the tonnage charge while Glendale would collect the reminder. 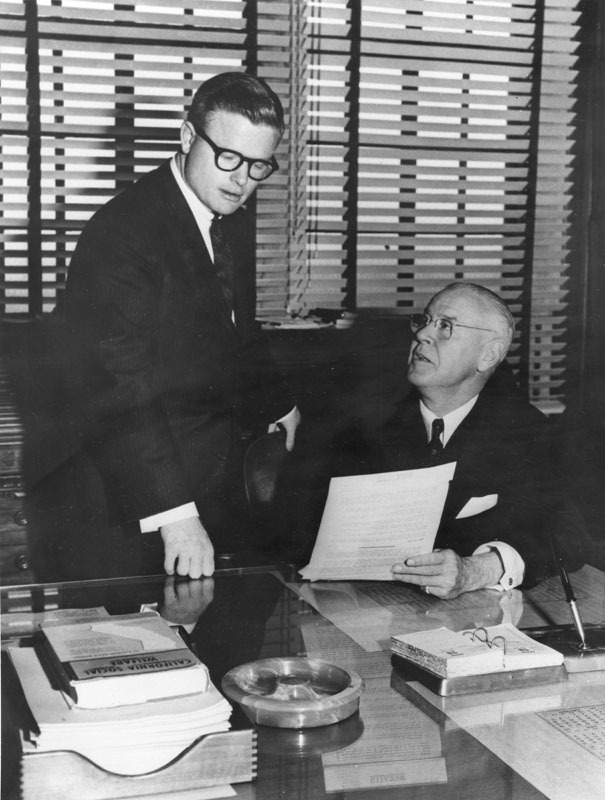 LA Mayor Norris Poulson urged support for the dump. In a letter to the council, Poulson suggested that the council had inadvertently created a “time-bomb” for the “vital public dumps program.”[x] He also suggested that the council’s actions might be misinterpreted and that they would be seen as the puppets of the “private rubbish monopoly” who resisted public control of waste disposal. Today, the landfill occupies approximately 535 acres, rather than the 397 originally proposed. The golf course was also eventually reopened. With the recently proposed expansion, the landfill is expected to reach capacity in 2040. [xv] Maybe then, all of the land will be converted to a park. I am the grand daughter of Agnes Scholl and John Ruddock. They grew up the in the canyon. They were upstanding citizens, people, and their life’s work saving the lives of other. And I want to save what was there dream. The hidden paradise of the city. It’s appalling that their paradise is now a trash dump. They would want good fhe community but they wanted it to be more as a wonderland of fun for kids and families to enjoy it’s amazing beauty. I will fight for something to change this. I will fight for their honor. If you are going to name this after my grandmother for trash. I will protest it’s name be changed because she would not want her legacy of her life to be on a landfill sign. Rachel, thank you so much for sharing your family’s history. The site is certainly worthy of more consideration. Since the online information available about the history of the land seems scarce can you provide some of that history? Who were they? Where they came from and why and when they settled in Glendale. How the city acquired their land. Is there other information available from other sources? I have not seen anything on the City of Glendale website other than it was selected as a landfill site. Additionally, while you may not agree, eventually the property should cease to be a landfill. The land may keep and attract features such as parks and golf courses, schools etc. that possess the Scholl name.